Being a mom, I have to make a lot of tough decisions. What should Dek eat? What can he play with? How do we react when he is being crazy? This is never so true as when we travel. I still deal with all of the daily decisions life throws at us, but I also have to decide what sights we visit and which ones we miss out on. With a little research, I generally know what we will skip before we even arrive. Some we have no interest in. Others are too dangerous or hazardous to get to with a 2 year old. There are a few sights that I leave on our list until we get to our destination though. You just never know how everyone will be feeling. 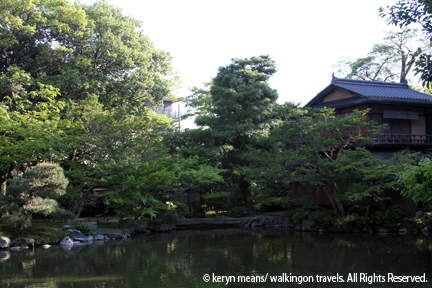 The Imperial Palace in Kyoto was a tough call. The only way to see the palace was to sign up for a free tour with the Imperial Household Agency. English tours started at 10am and 2pm. Each lasted approximately one hour. We could apply for the tour up to 20 minutes* before it began. We decided not to take the tour. Dek was holding up really well on our trip. He needed to be able to run when he wanted to though. A tour group could not contain him if we were all going to continue to have a great time. I was a bit disappointed. The palace was supposed to be amazing. We did make a point to at least visit the Imperial Park. 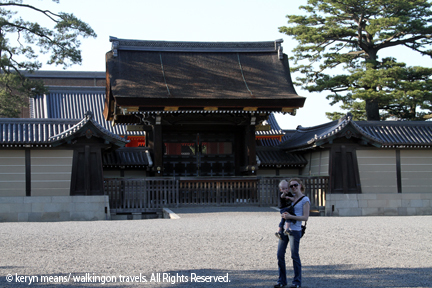 We strolled up to the Imperial Palace hoping to get a glimpse. All we saw was a very impressive stonewall and a large gate. I was kind of hoping we would get at least a peak into the front portion, but you know those royals. They love their privacy. 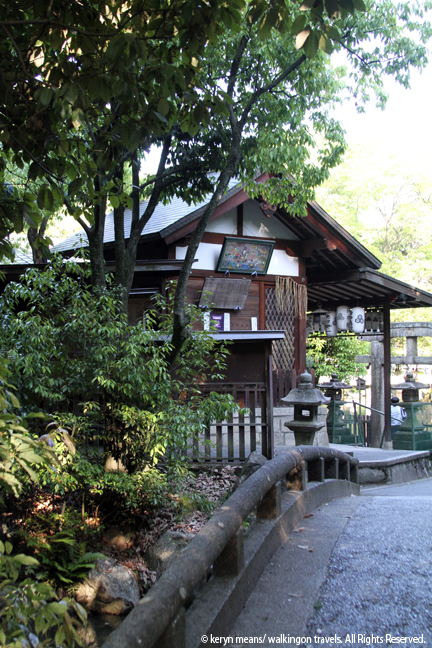 We also skipped the Sento Gosho house, or Retired Emperor’s Palace, which also required a guided tour. The most we could see of this area of the park was a guard station and the top of a few trees that reached over the wall. Even without the palace tour, the palace grounds kept us entertained. A small pond with a carved white bridge greeted us when we entered the southwest corner of the park. Dek chased after crows as we made our way along the gravel paths. It was very slow going. Dek had discovered the joys of throwing rocks earlier that day. As the sun was setting, locals gathered with their dogs and got together to play softball. A group of teenagers were showing off to each other near the bathrooms. They were definitely the cool kids. An older gentleman hit a tennis ball into the bushes on a bocce ball court. We strolled out the East gate and headed back to Shijo-dori to find some food. I may have been disappointed that we had to skip the palace, but we got so much more out of our visit. We got to see the locals hanging out. We strolled as a family and took a few minutes of peace out of the hectic pace I had set for us. Sometimes sacrificing one thing can add a whole lot more to your experience that you ever expected. 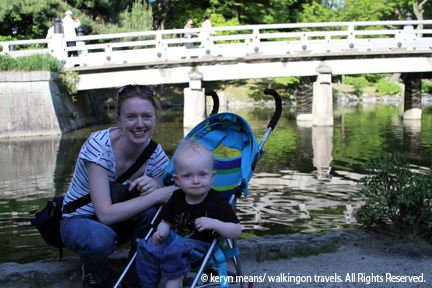 TIPS: If you are traveling with small children that get tired, opt for a baby carrier instead of a stroller. The gravel paths make it almost impossible to push a stroller through. I am not proud to admit that we ran over a lot of grass during our visit.